It’s not hard for me to be thankful. 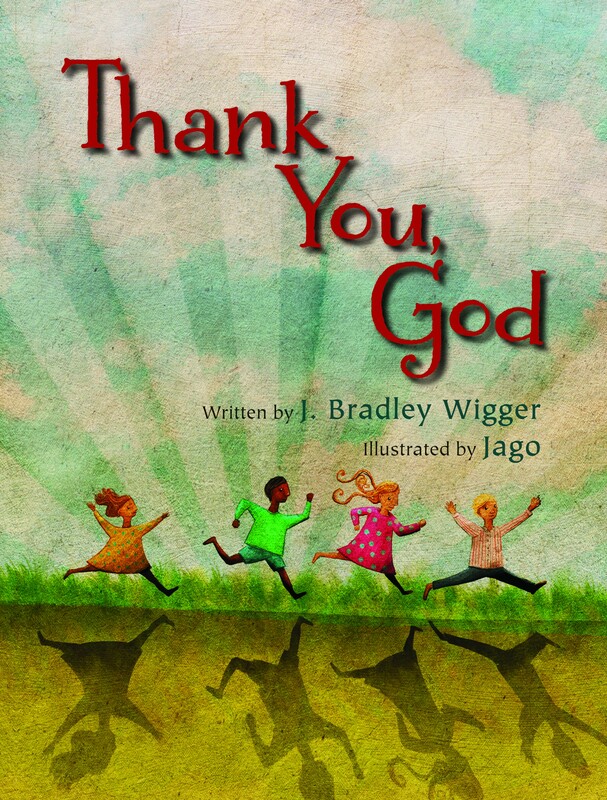 Like J. Bradley Wigger in Thank You, God, all I have to do is look around me to find blessings aplenty to inspire my gratitude. His book takes me through a litany of thanksgiving, as together we give thanks “for the sun smiling on our earth to wake up the day” . . . “for meals together, with good food to smell” . . . “for stories shared, for songs sung, and for love whispered.” I add a silent “amen” to every page. And to all these good things to be grateful for each day — bees and beetles, stars and moon, trees and leaves and sky — I add one more: picture books. stitched expertly together on the page. and for reading until my voice gets scratchy and their eyelids grow heavy. and all the other timeless fragments that will still float lightly off my tongue long after my babies aren’t babies anymore. until they become woven through the fabric of my mind. that invite even reluctant children to begin lifelong friendships with words and letters and ideas. and stare, and stare, and stare. and — even — for the ones that make us cry. that help us begin to catch a glimpse of how big and strange and wonderful the world really is.